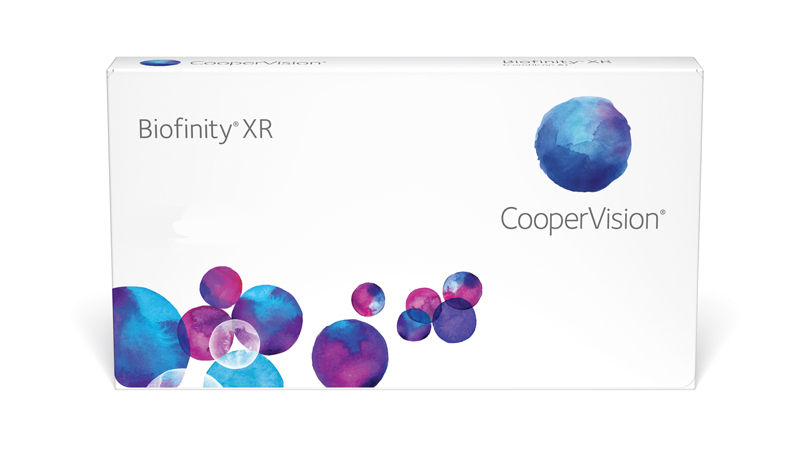 CooperVision® Biofinity® XR lenses are designed for extreme prescriptions so even more of your myopic and hyperopic patients can experience the comfort and clarity of Biofinity contact lenses. With Biofinity’s proven lens material, design, and fitting approach you can feel confident that Biofinity XR is suitable for your patients that haven’t been able to wear contact lenses or are dissatisfied with their current brand. Biofinity XR is also an ideal way to upgrade existing extended range hydrogel wearers to the latest silicone hydrogel lens technology. Using the same lens material and design that you find in Biofinity sphere lenses, Biofinity XR delivers the kind of comfort* that can help minimise the need for drops. CooperVision’s exclusive Aquaform Technology makes Biofinity XR a naturally hydrophilic contact lens that retains water within the lens, minimizing dehydration. It also combines low modulus and high oxygen transmissibility for added comfort and breathability.